Raceline KTM Thor contender credited fourth on countback. 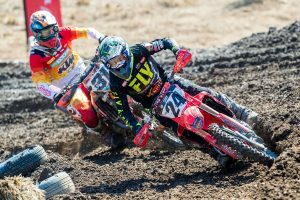 MX1 red-plate holder Hayden Mellross has found it difficult to accept an error that saw him crash out of the lead during the final moto of Broadford’s 2019 Pirelli MX Nationals yesterday, ultimately denying him a podium. The Raceline KTM Thor rider led 16 of the 17-lap affair, washing his front-end on the final lap in a technical section of the circuit, relinquishing the lead before a jammed front brake forced him into another fall, letting go of more positions in the process. He remounted for fourth, and paired with his P3 combined ranking from the back-to-back Sprint races in the morning, he was credited fourth overall on countback, levelling on points with third’s Luke Clout (CDR Yamaha Monster Energy). 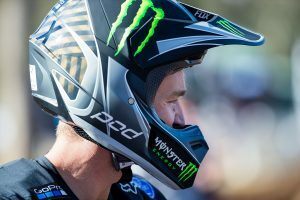 “I’m upset with myself and there’s no one else to blame but myself in this situation,” Mellross explained to MotoOnline.com.au. “It was definitely a tough pill to swallow considering I had led every lap, and I was riding so strong – I was riding mistake-free, hitting my marks and just staying consistent. 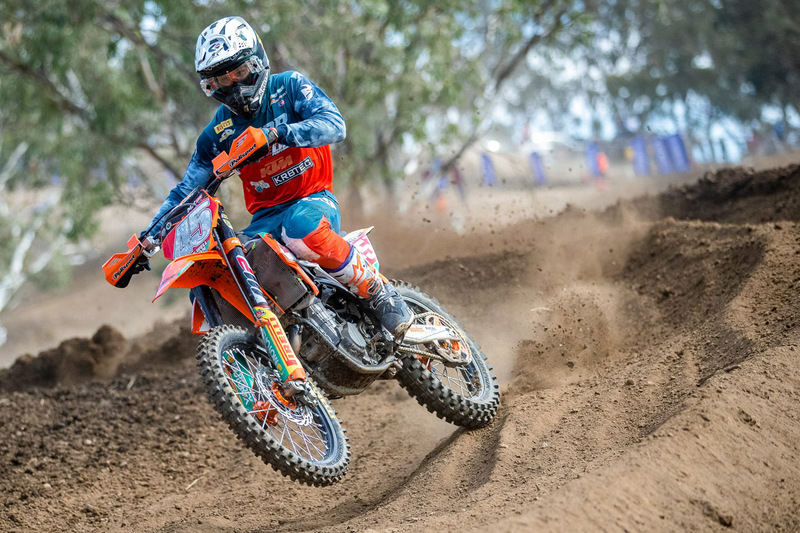 Having not raced a complete MX Nationals campaign since 2014, Mellross entered this season as somewhat of an unknown in the title hunt, however he has quickly established himself as a championship favourite in the first three rounds. While succumbing to the pressure of a hard-charging Kirk Gibbs (CDR Yamaha Monster Energy) during race three, the popular New South Welshman is drawing levels of confidence from the weekend’s encounter, which saw one of his strongest displays of riding all season long. “There’s more than one positive for this weekend, it’s honestly far more positive with just one negative,” he continued. “Looking at the weekend as a whole, we had a solid weekend. I led 16 laps in the last moto, which is the most I’ve led realistically all season in those conditions. “And not just in those conditions, but I also having former champion Kirk Gibbs on my tail the entire race – to have him on my tail, and to handle that pressure for 16 laps, is something I’m holding my head high over. Mellross holds a five-point advantage over Clout in the championship standings as the series heads to Murray Bridge in South Australia on 4-5 May for the first double-header of the year.